Sesame seed is one of the oldest oilseed crops known, domesticated well over 3000 years ago. Sesame seeds are admired all around the world for their slightly sweet, nutty flavor and aroma that is enhanced by toasting. 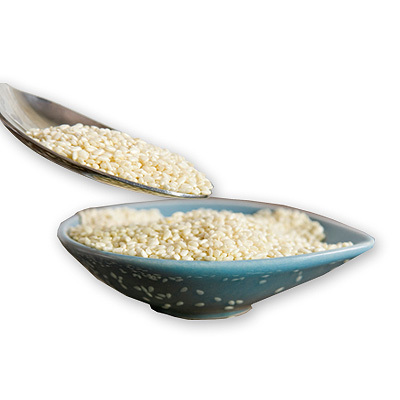 Sesame seeds are used in hummus and in sweet treats like halvah. In Asian cuisine, they are used in sushi rolls, stir-fries and salads. Sesame seeds are added to breads and other baked goods for a rustic, artisan touch and flavor.